Pigs n Buns first came into fruition as 4 Lil Pigs in Sarasota, FL. We began when a young girl posted an ad on Craigslist, begging for help with 2 very pregnant guinea pigs that she “rescued” from a pet store. I (Ally) responded to her plea for help, telling her what she needed to do, what to watch out for, etc. After a couple of emails back and forth with what turned out to be an 8 year old girl, her father began to email me, begging me to take the pigs instead. He knew they were in over their heads. These piggies were purchased in an attempt to rescue them from a small and dirty cage. However well intentioned, this is often how many animals end up homeless and/or in shelters. Guinea Pigs (as well as rabbits, and even hamsters, gerbils, rats, ferrets, and many other critters besides dogs and cats!) are no exception. The intent was to stay very small – a handful of guinea pigs at a time. Well that was in 2008. A few years later, we became 4 Lil Pigs n Buns, as rabbits joined the herd (as well as several more volunteers to help!) 4 Lil Pigs n Buns quickly gained an incredible reputation, growing and expanding to include other little critters, including ferrets, hamsters, rats, gerbils, sugar gliders and even a flying squirrel! We now cover predominantly the Tampa Bay area, with adopters coming to us from Sarasota and Manatee Counties, as well as areas such as Orlando and Fort Lauderdale. Our Board Members are in Charlotte County, Pinellas and Hillsborough County. Three of us are Licensed House Rabbit Society Educators. In 2013, we re-branded as Pigs n Buns Small Pet Rescue, to encompass the predominantly pigs n buns, and small pets that we take in and re-home. It is truly a labor of love. We are not rich. We often end up paying for a lot of rescue-related expenses out of our own pockets. Still, we aim to help as many critters as we can. We are hoping to become a 501(c)3 soon. Maybe one day we will have a sanctuary that is open to the public! The possibilities are endless In the mean time, we are primarily stationed in a private home in Saint Petersburg, with various foster homes around Florida (predominantly Pinellas and Hillsborough Counties, but we do have the occasional foster home in Sarasota/Manatee/Charlotte Counties!) We are NOT open to the public and our addresses are not publicly listed (both for the safety of the current human residents, as well as to avoid people dumping unexpected animals in the middle of the night!) Most events and adoptions will be done in Saint Petersburg. We will also be conducting educational classes and events in Saint Petersburg, at the Pet Food Warehouse. We are there every THIRD Saturday of each month. We thank you for your support and love for the little critters! I wishedbi lived close to your adoption home so i could volenter with the care and cleaning of your lil babies. I have had animals since barely five...fourty yrs. Expience of that move...until i can adopt...ive had dogs, cats,gunies,bunnies, hamsters,rats,mice,gerbils,finches,parakeets,doves,fish, and one leperod geko...i took animals persons were starving, abusing...and plan neglect...and i worked in pet stores from 16-21, and daycare homes and centers until 32 yrs..people in the making, and gods furry babies have been some of my pations. 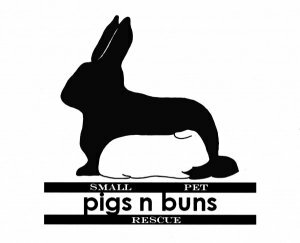 Is there adoption places that have cavies,bunnies and small babies in sebatian fl?